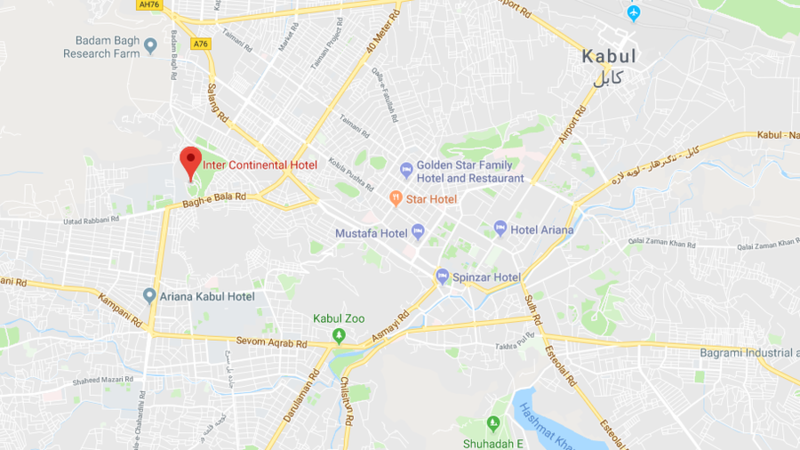 A group of gunmen has attacked the Intercontinental Hotel in Afghanistan's capital, Kabul, exchanging gunfire with security officials and leaving a reported five people 5 and 6 injured. The attackers also took hostages. The group of up to four men raided the hotel Saturday at about 9pm local time. Residents and staff fled amid the shooting and chaos during which the building also caught fire. The attackers took some hotel staff and guests hostage, Reuters report. The hotel’s manager, Ahmad Haris Nayab, escaped unhurt and told Reuters the attackers infiltrated the hotel through the kitchen and started shooting at fleeing guests. 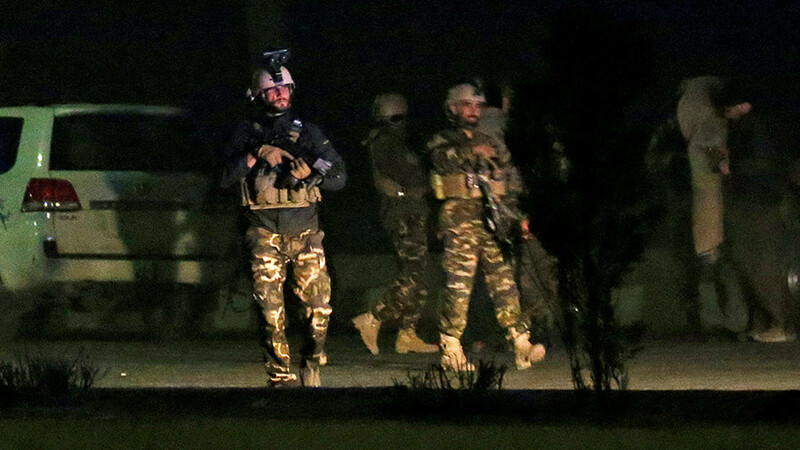 Eleven hours after the gunmen stormed the Intercontinental, special forces were still engaging at least two insurgents still holed up in the building, Afghanistan's TOLOnews reported. One survivor who escaped told the news outlet the attackers fired randomly on people inside the hotel. At least five people were shot dead while another eight guests were wounded in the attack. "Five are dead," an official with the Afghan spy agency told AFP, adding that 100 hostages were released. The continues gun fight prevented emergency services from reaching the injured. 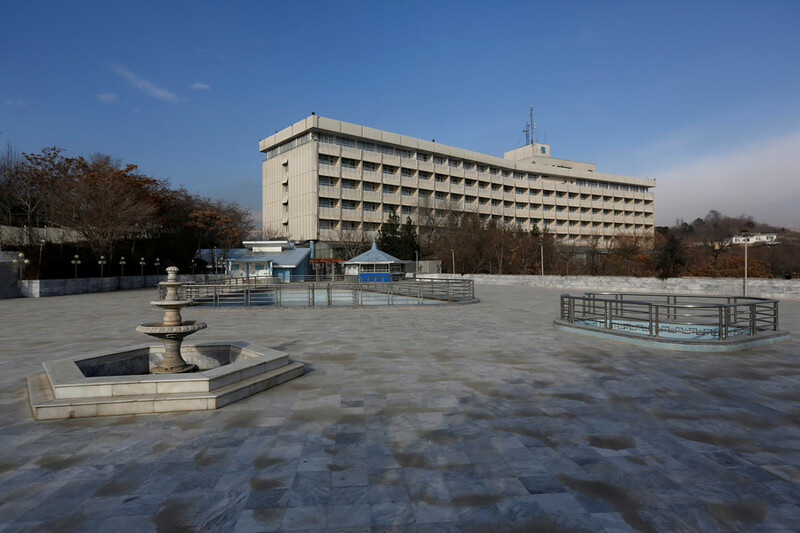 Emergency crews only managed to reach some of the wounded by 4:00am local time, and ferried them to the Kabul Emergency Hospital and the Police hospital, a TOLOnews report said. The battle with remaining attackers continues. A guest hiding in his room told AFP he “heard gunfire from somewhere near the first floor." "We are hiding in our rooms. I beg the security forces to rescue us as soon as possible before they reach and kill us," the trapped guest added. During the siege, the fourth floor of the hotel caught fire, according to an official from the National Directorate of Security who spoke to AFP. A local news reporter for an Afghan television network reported hearing an explosion from outside the burning building. While a resident living close to the hotel spoke about hearing “another two explosions,” according to TOLO news. No group has yet claimed responsibility for the attack. At least two of the attackers – who all reportedly had a large supply of grenades – were killed by Afghan Special Forces. The Intercontinental is one of two main luxury hotels in Kabul and previously came under attack in 2011. Seven people died in that assault, when several gunmen and suicide bombers, three of which detonated their devices, attacked the facility. In 2014, nine people, including children, were killed during a Taliban attack on Kabul’s Serena Hotel. Four teenage gunman penetrated several layers of security by hiding pistols in their socks to infiltrate the venue favored by foreign visitors.